Horrific footage taken at two poultry suppliers for the company Koch Foods earlier this year shows alleged animal abuse of chickens. The footage, filmed by undercover activists with the group Mercy for Animals, shows workers throwing birds, slamming them into crates and birds suffering from open wounds. It also shows a supplier truck that turned over on the highway, crushing and killing countless chickens. The video, which can be seen below, also details the slaughter process, showing several birds who are still alive when they are scalded in boiling water tanks. On the tape, workers also talk about maggots and roaches they've seen at the factory. Koch Foods trains its processing employees on animal welfare practices and the importance of operating in a precise manner. It also requires its independent contractor chicken catchers to adhere to the Animal Welfare Guidelines of the National Chicken Council. These independent contract catchers must complete training on compliance with animal welfare guidelines, and they are regularly monitored for adherence to the guidelines. Koch Foods is also regularly audited on its animal welfare practices by an independent auditor. The Chattanooga facility last completed such an audit in September of this year. The auditor found no violations of animal welfare practices in the live or processing operations for the Chattanooga complex. 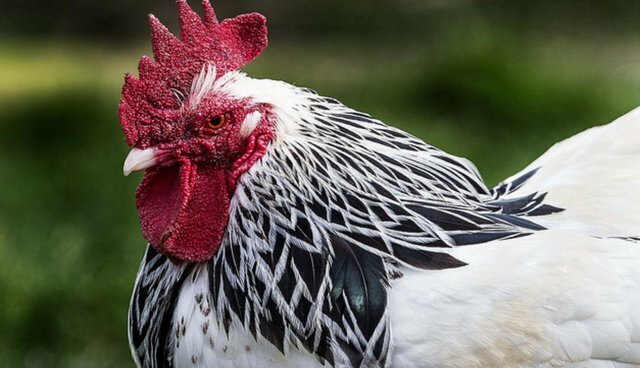 Poultry animals are not included in the protections afforded by the Humane Methods of Slaughter Act, a measure meant to provide animal welfare standards for livestock. The animal advocacy group Mercy for Animals is releasing an investigation today regarding the treatment of chickens at a farm in Puckett, Mississippi, and a poultry slaughterhouse in Chattanooga, Tennessee. Both facilities are owned by Chicago-based Koch Foods, which has not been a supplier for Chick-fil-A since April of 2013. Koch Foods has not yet responded to The Dodo's request for comment. But Matt Rice, director of investigations at Mercy for Animals, told The Dodo that the behavior seen in the video below isn't all that unusual. "The bigger point is that this is standard practice in the poultry industry," Rice said. "The real issue is the practices you see in this investigation are seen across the industry." See this page for more information about the poultry industry and how to pressure companies to enact stricter animal welfare standards.